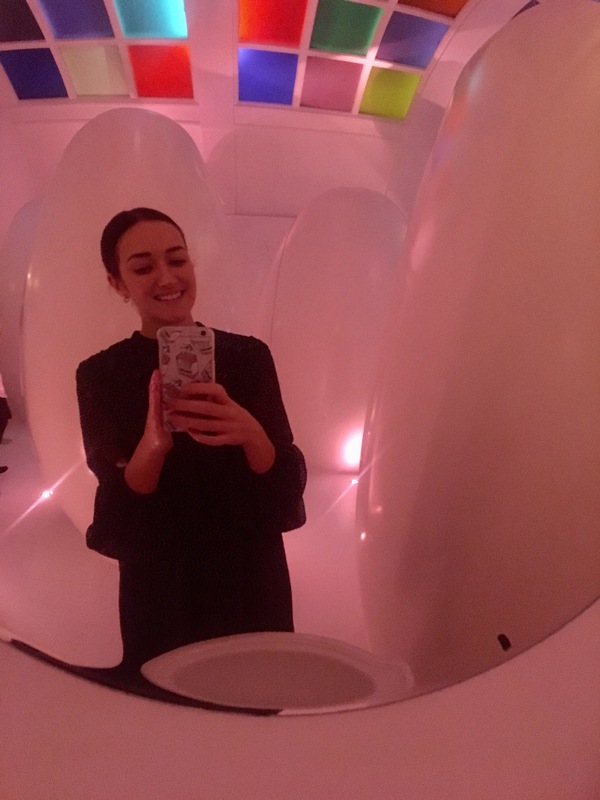 Sketch is one of my all time favourite places in London; it’s eccentric, has pink velvet chairs and a bathroom fit for any Instagram page. Quirky and classy come together in this restaurant/gallery, and a visit to Sketch for most usually involves a mini photoshoot in the bathroom (if you know, you know). On my latest visit I also had the pleasure of viewing the new Christmas installation ‘Silent Light’ by Chris Levine. 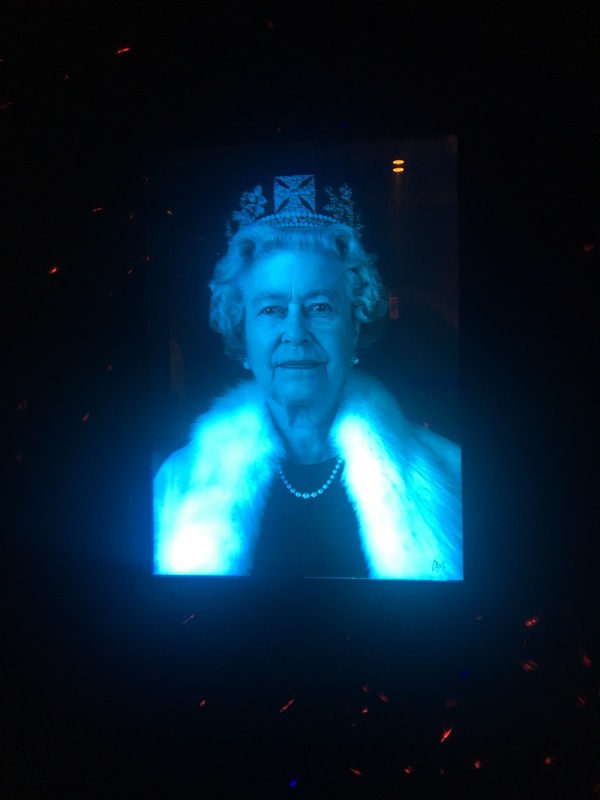 If you thought this place couldn’t get any better, try adding some immersive lasers and a photo of the Queen; I promise you, it has shaken things up. For those of us who feel like they don’t get the time to visit as many art galleries and exhibitions as they would like to, this definitely ticks the boxes for cramming two of your favourite pastimes into one delectable package. Sketch is pretty magical anyway. Unlike anywhere else I have visited, it feels both futuristic (space pod toilets, hellloooo) and classic (I hate to mention those pink velvet chairs again but they really are fabulous) all at the same time. 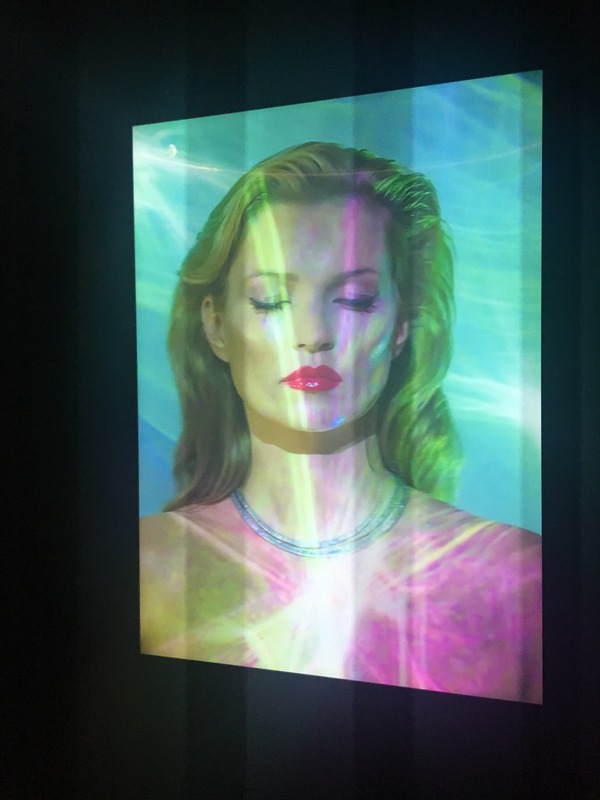 So imagine how much better it becomes with a light installation created with the sole purpose to cleanse your mind and soul? The exhibition runs from 16th November 2017 to 5th January 2018, so I would definitely urge you to take a look if you’ve got some free time over the Christmas period. Ohhh, you’ve just re-ignited my homesickness for London! I live in Zurich and usually go to London (my FAVORITE city) at least twice a year, but it’s been months. Sketch is definitely on my list for my next trip… it looks fabulous! I adore this place! I will have to visit the next time I come across the pond. The picture of the Queen is AMAZING. I kind of adore her.